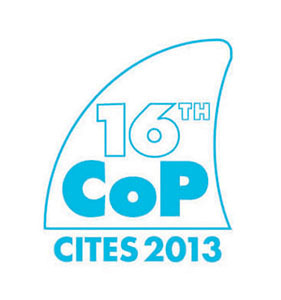 CITES7 is a coalition of seven organisations set up in xxxx to protect sharks from unsustainable trade by ensuring the listing of five endangered sharks and rays at CITES CoP16 in March 2013. On board from the beginning we planned and delivered communications for the campaign, culminating in the two-week CoP16 conference where we worked hard alongside the coalition to promote the plight of the sharks and rays – all five species were listed. Our comms work included delivering media coverage in up to 23 countries; producing a series of species booklets in five languages; developing and maintaining a dedicated website; running a highly successful social media strategy during CoP16, which engaged with an estimated seven million twitter users.